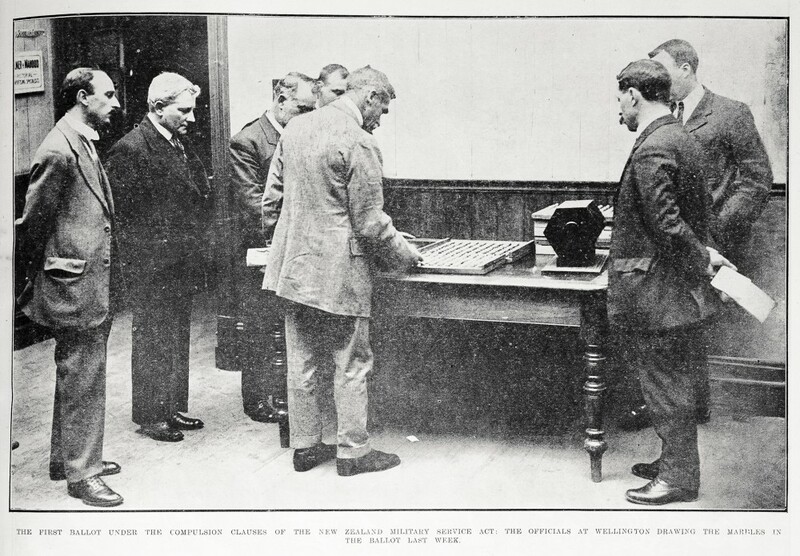 This had its beginnings in the Defence Act of 1909 which introduced compulsory military training to New Zealand. This was a controversial piece of legislation as critics saw it as a short step away from conscription. A large number of youths were prosecuted for failing to register, and those who refused on conscientious grounds were fined or imprisoned. 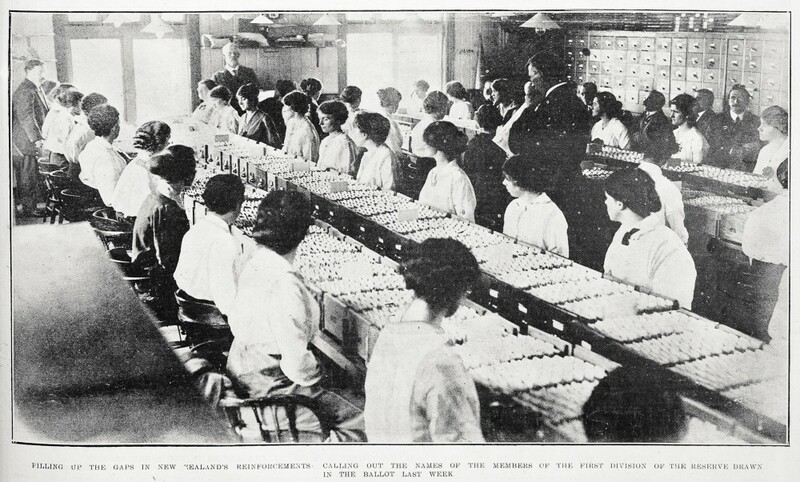 By 1914 almost 5,000 young men had been convicted for resisting compulsory military training and some were held in military defaulters’ camps such as Rīpapa Island in Lyttelton Harbour. 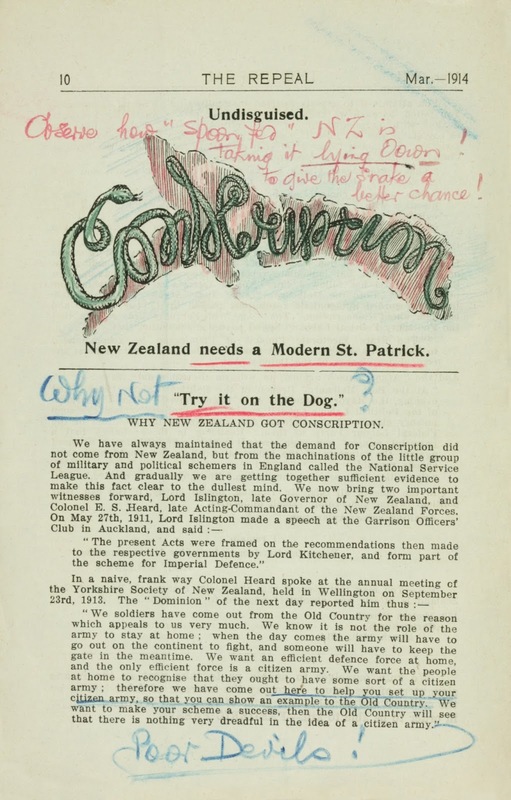 One group from Christchurch, the Passive Resisters Union, produced an anti-conscription publication called Repeal. This is a page from John A Lee’s copy of the March 1914 edition and these are his annotations you can see on the page. Ref: Repeal, no. 12 (Mar. 1914), p. 10, Sir George Grey Special Collections, Auckland Libraries, 355.2 R41. Within the first week after war was declared 14,000 men volunteered for service at an average age of 23. But the voluntary system failed to provide a steady flow of troops, and led to spikes and troughs in numbers. 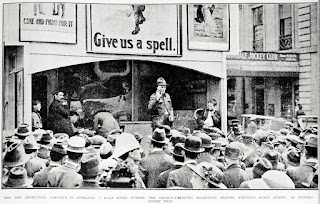 Ref: Auckland Weekly News, The new recruiting campaign in Auckland, 16 March 1916, Sir George Grey Special Collections, Auckland Libraries, AWNS-19160316-37-1. 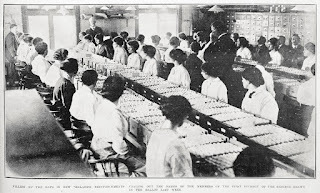 As the war progressed, there was also a perceived inequality of sacrifice, with some families, regions, classes and occupational groups appearing to contribute greater numbers to the war effort than others. From May 1915 the horrors of Gallipoli and the sinking of the Lusitania led to calls for conscription to remove those inequalities. Ref: Henry Winkelmann, New Zealand Army Recruiting Station in the centre of Victoria Street West, 23 April 1917, Sir George Grey Special Collections, Auckland Libraries, 1-W1594. 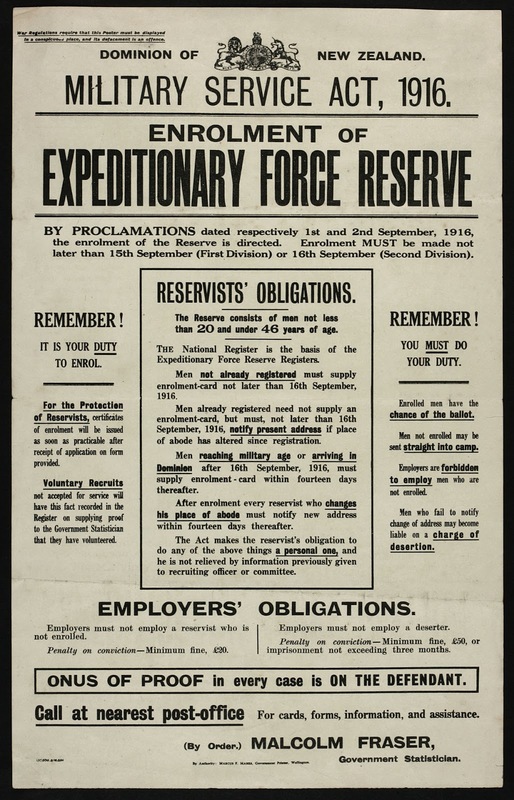 The upshot was the Military Service Act of 1916, which established the Expeditionary Force Reserve consisting of every Pākehā male between the ages of 20 and 46 years. 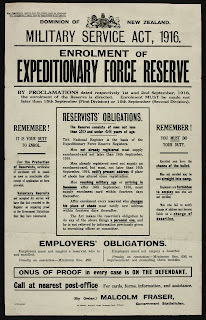 From this Reserve all future reinforcements were to be selected by ballot. It was later expanded to include Māori as well. 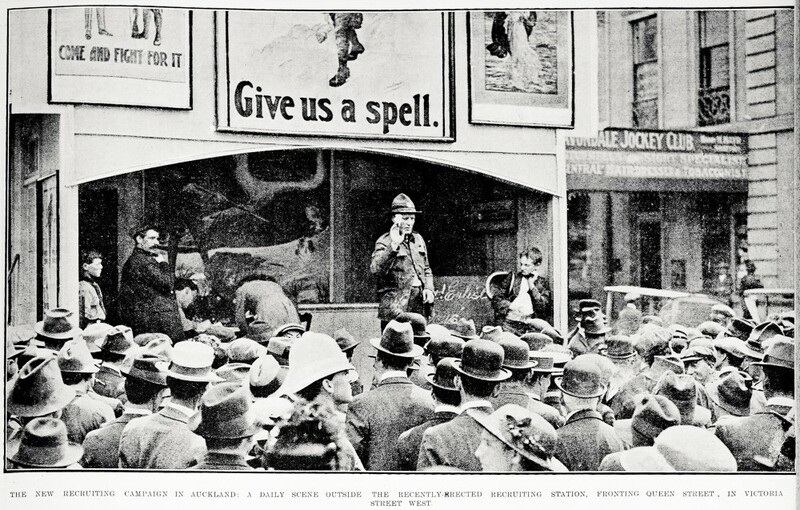 Ref: Auckland Weekly News, The first ballot under the compulsion clauses of the New Zealand Military Service Act, 23 November 1916, Sir George Grey Special Collections, Auckland Libraries, AWNS-19161123-35-1. Ref: Auckland Weekly News, Filling up the gaps in New Zealand's reinforcements, 23 November 1916, Sir George Grey Special Collections, Auckland Libraries, AWNS-19161123-35-2. A huge amount of resources have been created during the centenary commemorations of the First World War. 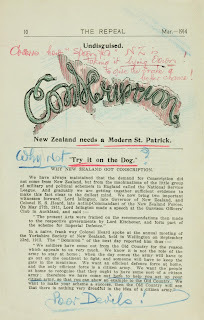 The National Library have produced a specific research guide on conscientious objectors during the First World War, while Auckland Libraries developed a more general one. 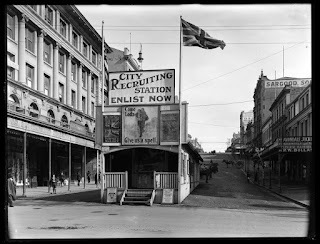 Auckland Libraries have also created an online exhibition and an Auckland Weekly News timeline of the First World War in New Zealand.